An IRS tax audit can be an intimidating experience, especially if you are not familiar with tax law and have had no direct contact with the IRS previously. The IRS, however, allows you to appoint a third party to represent you in your dealings with them. Although the IRS imposes restrictions on the identity and scope of authority of your representative, your representative need not be an attorney. Select your representative with care, however, because you may need to empower him to perform binding legal acts on your behalf. Using a power of attorney, you may authorize your agent to perform any legal act that you would be entitled to perform yourself including accessing your confidential tax records, appearing before IRS hearings, signing your tax return, negotiating with the IRS, or signing an agreement between you and the IRS, such as an installment payment agreement. You may limit your agent's authority at your own discretion; his authority cannot exceed the limitations that you impose on your power of attorney form. Anyone may prepare your tax return, furnish information that you supply in response to an IRS request, or appear as a witness for you. If you need a representative to perform other activities for you, you may appoint any individual who is enrolled to practice with the IRS. These people are often called enrolled agents. If you appoint an enrolled retirement plan agent or an actuary, he may represent you only within his area of expertise. You may also appoint certain people who are not enrolled with the IRS including an attorney licensed in any state, a law student, a certified public accountant, a CPA student or a tax return preparer. An unenrolled tax return preparer who is not an attorney or a CPA may represent you only before customer service representatives, revenue agents and examination officers, and only with respect to specific issues arising from his preparation of your tax return. An enrolled agent is someone who has obtained a preparer tax identification number, passed the Special Enrollment Examination, applied to the IRS for enrollment and passed a tax compliance test to ensure his own compliance with tax laws. Certain IRS employees can become enrolled agents without passing the Special Enrollment Examination. 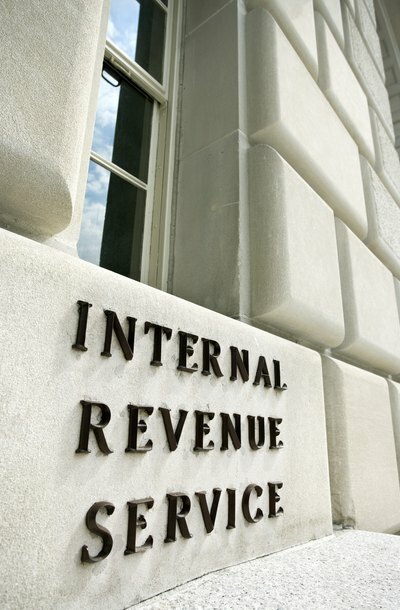 The IRS may disqualify an enrolled agent who commits acts of misconduct, such as divulging confidential taxpayer information, or who knowingly supplies the IRS with false or misleading information. To appoint your representative, you must execute a power of attorney in his favor using IRS Form 2848. You must supply basic information about yourself and your representative, and you must specify exactly what confidential tax information you are authorizing him to access. If you only need a representative to inspect your tax records but do not need him to sign documents or appear before the IRS on your behalf, submit IRS Form 8821 instead. Corporations, partnerships and other entities may represent you using Form 8821.